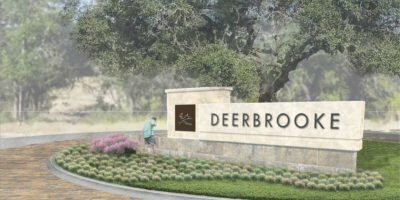 The Randolph Todd Company initially engaged the Canin Landscape Architecture Studio to assist in developing a vision for the amenities and open spaces of the new community of Deerbrooke in Leander, Texas. The initial effort included the designs of the entry features, the amenity site, the trail system and the main bridge/dam feature. The vision was presented to the City and received overwhelming support and helped gain development approval. With that success, the Landscape Architecture Studio began the process of developing the design documents for the landscape. The project focused on preserving and enhancing the Texas Hill Country character with oak trees and native limestone. Additional design efforts focused on creating a new set of guidelines for the residential architecture and conceptual design for the amenity center.